Home Insights | News Is Your Name On The AMCON List? Is Your Name On The AMCON List? Nigeria’s AMCON (Asset Management Corporation of Nigeria) has released a list. It is a list of 105 people who (largely) owe the corporation. The list is unfortunate because AMCON is hoping that by publishing these names, the people would be shamed, and then pay their debts. What a strategy! Let me spare you the details (you can click here to see the roll call). 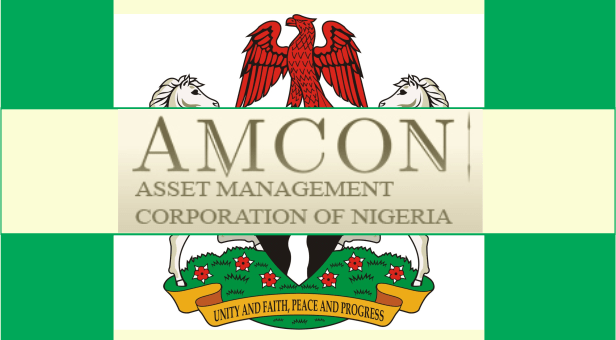 The Asset Management Corporation of Nigeria (AMCON) on Monday released the list of debtors it claimed have failed to negotiate successfully with the corporation. The list, which contains about 105 names, came months after the asset management company said it would need the support of other relevant agencies to ensure that obligors pay up their debts. The managing director and chief executive of AMCON, Ahmed Kuru, had in July promised to publish the list of delinquent debtors and directors who have failed to reach or refused to reach settlement resolution with the corporation. Mr Kuru said after failed negotiations, AMCON would name, shame and embark on take-over of properties of delinquent debtors. The big issue is the unbelievable nation we have: you have a man with a solid contact in a bank, takes loans beyond his capacity with yo-yo collateral, fails to pay and then the bank alerts the government through AMCON. AMCON rushes to the scene, takes over the loan and pays the bank. And then magically thinks it can manage the dying company which has been unable to service its debts obligations. In most cases, after years, the Nigerian people will lose money because AMCON cannot recover what it has put to “save” the private company. The bank did not do a good job by closing the flanks. They gave out a lousy loan, got the fees and when the markets could have punished them for not being thorough, government steps in to “save” the bank from its mistakes. The implication is evident: head or tail, the bank will win because no matter what happens, it will make money. If the loan goes well, it makes money. But when it does not, government takes over and pays it. As that happens, massive distortion happens in the market because the equilibrium point has been shifted for demand and supply to engage. If this is isolated and occasional, we could say it is a necessary way to save our financial system, but when you see this happening regularly, you would understand that even the banks are getting away with this. When AMCON arrives, it takes over the poorly performing company, after paying off the debts to the bank. But if you look critically, the businessman has moved billions of naira out of the company to buy houses in New York, London and beyond. AMCON leaves that guy alone, threatening it with a public shaming publication while leaving all those assets for that person. Tell me why the next person will not try to repeat this dubious way of transferring the commonwealth into personal purses. They know they can divert the money to other sources, and those companies they have funded with diverted monies will remain for them. Simply, if banks know that bad loans can be taken over by AMCON easily, and the yo-yo businessmen know they can divert funds to other companies, without losing the secondary firms even though the original loan recipient firm is taken over by AMCON, there is no way this vicious circle will stop. Nigeria will keep bailing bad habits until we get serious. Yes, the nation will keep paying Big Man Tax where everyone is paying to fund fake business deals in the economy. Nonetheless, I do agree that AMCON is adding value but it must be reformed to avoid this massive transfer of commonwealth into private purses! Absolutely – AMCON is working but it needs to have a clause that if it comes and takes over, the bank will pay it on behalf of the Nigerian people 25% of the agreed sum while the loan recipients will lose rights to all global assets until everything has been regularized. By doing it this way, banks will have pains to deal with, and businessmen will think twice before putting our economy on risks.